Mango season. Mango mood. Mango time. Decided to make delicious tempting mango ice cream which is a favourite of my kids. Here is the recipe. Take milk powder and cornflour in a bowl. Mix it or beat it with a little water so that it becomes smooth in texture. Pour milk in a deep pan and put it on stove. Add the milk powder & corn flour mixture. Keep stirring the milk till it starts boiling. Remove the pan from the gas and let it cool down for 15 minutes. In a mixer add the milk, cut mango pieces, sugar and cream. Start the mixer and let it mix and turn off the mixer. Do this for 5 times so that it gets mixed properly. Pour in ice cream mould or box and keep it in the freezer. In 10 hours soft and delicious ice cream is ready to eat. 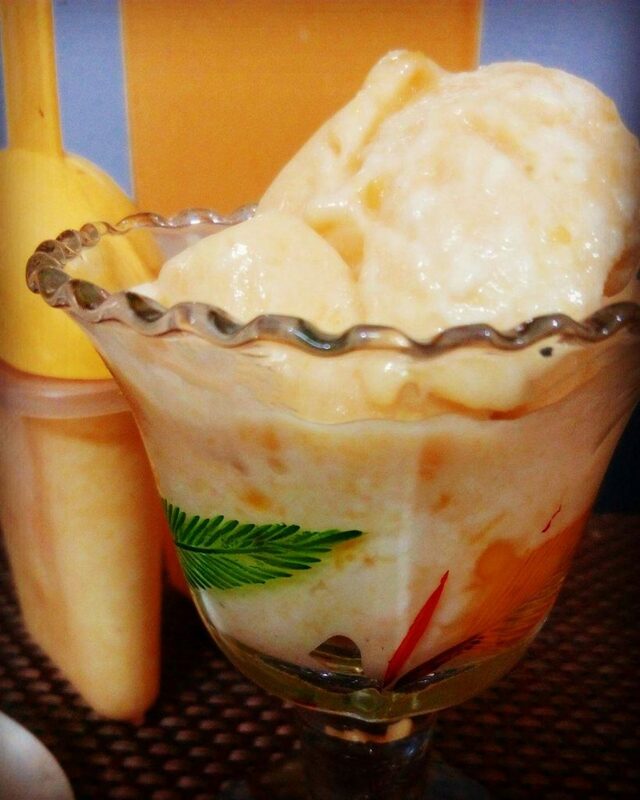 Enjoy delicious Homemade Mango Icecream.